Not much time? Need flexibility? 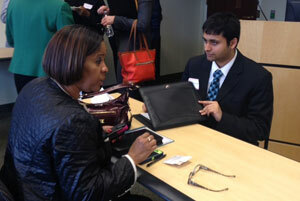 The One and Done opportunities allow volunteers to help Richmond SHRM with quick, short-term assignments. RSHRM is committed to helping our community by providing HR guidance and coaching. Several area organizations ask for our help to prepare and coach job fair attendees or help prepare their members or students for interview opportunities. Qualifications Richmond SHRM member. Other qualifications depend on assignment. For example, Recruiting experience would be helpful for conducting mock interviews. Please complete the form below to volunteer for the One and Done Events Committee.